The saying “pickin’ and grinnin’” is fitting for Dallas Baker. 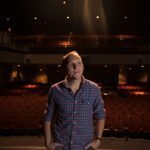 The Charleston-based singer/songwriter does just that, whether on stage or on record, exuding a true love of music with each lyric that he sings and every chord that he strums. Up until this point, hearing Baker play meant catching him on stage or getting ahold of his early recordings delivered in a grainy, brown CD sleeve, but now, with the release of Albemarle Blues, fans new and old have a finely-tuned song-set to play on repeat. Joined by Fuller Condon on double bass, David Vaughan on mandolin, and Brad Edwardson on guitar, Baker leaves his mark on robust acoustic songs with a bluegrass bent and a freewheeling sensibility. The stripped-down feel casts the spotlight the songs themselves, and this is furthered by the collective’s understated playing with few frills and plenty of emotion. Baker and his cohorts visit Folly Beach on the album-opening title track, capturing the laid-back, mood-altering spirit of the salt air including a visit to local favorite Bert’s Market, and a nod to local Americana act, The Travelin’ Kine. In contrast, “Jacksonville” is propelled by brisk guitar and an intoxicating double-bass groove that exudes old-timey sensibilities. Perhaps one of the more gorgeous compositions on the albums, “Birds” soars with little more than Baker’s plain-sung lyrics and an acoustic guitar, an ecological lament with the birds outside the window asking, “What have you done to our home, Why don’t you leave us alone, Where do you expect us to live when there’s no land.” It is simply heartbreaking. 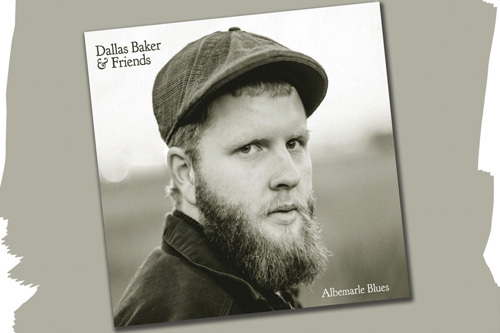 Dallas Baker & Friends official introduction on Albemarle Blues is strong from beginning to end, covering a spectrum of emotions, all imbued with a friendly tone. This can be heard when Baker hits the stage, too. On a recent afternoon in town, Baker and his friends regaled a crowd at his CD release party on The Pour House deck in town, delivering a set of songs largely from this release. 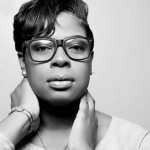 It was a friends and family type of get-together, underscoring this musician’s easy style and true love of music. Follow Dallas Baker and Friends on Facebook and ReverbNation.